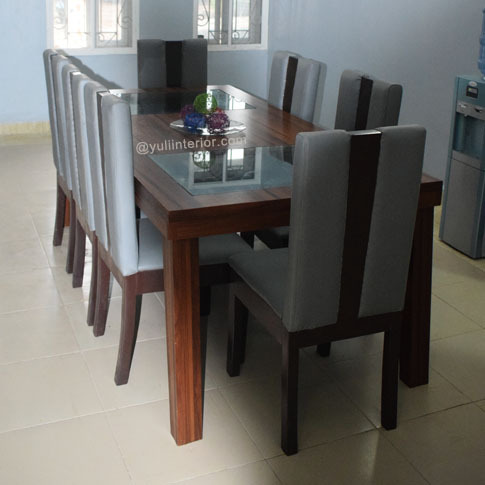 Beautiful and contemporary eight seater dining set suitable for all modern living spaces. Glazed and polished brown finishing. Material for Seat finishing may change depending on availability at time of order.